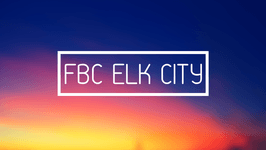 We believe here at FBC Elk City that Jesus is the answer to every child’s needs, particularly for salvation. Our programs and materials have been carefully crafted to help us clearly and consistently communicate the good news of Christ and His plan for kids lives, as expressed in His Word, and to build a biblical foundation that helps them follow Christ through adulthood. Young people hold a special place in Jesus’ heart. He created them and sacrificed His life for their sins. He longs for them to know, love and serve Him. He desires to spend eternity with them. His kingdom belongs to such as these. 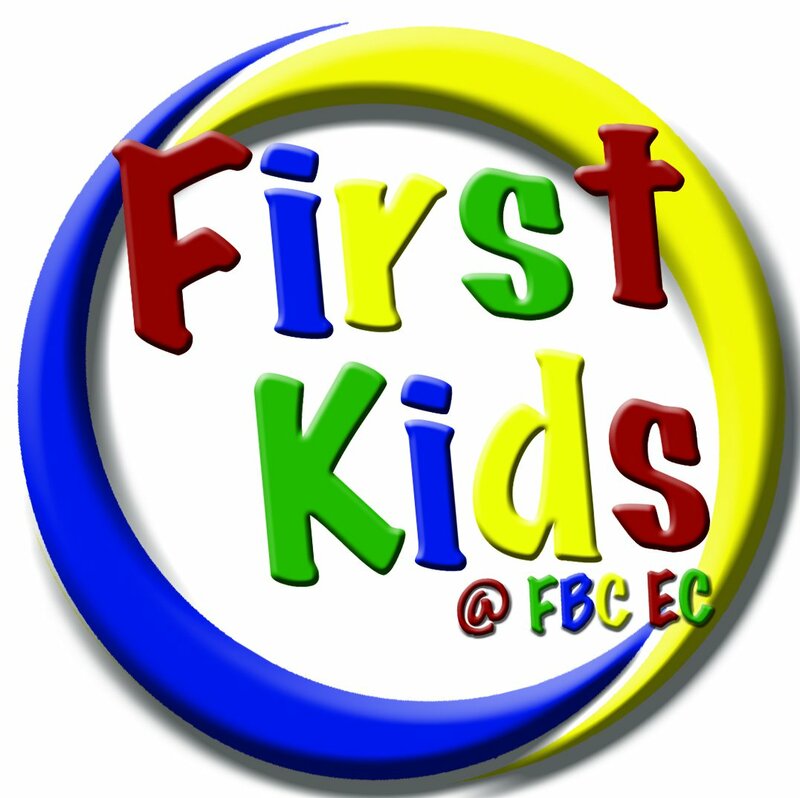 Newborn-PreK: we have a Preschool ministry during Sunday school and our church services, from 9:15-Noon, located on the East side of the building. Check your child in at a Kiosk and take them to their room. 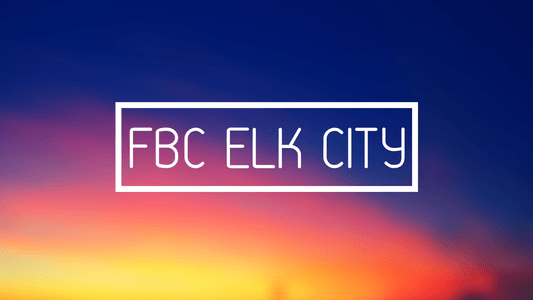 Kindergarten and Up - Sunday School classes start at 9:30, and Kids church starts at 10:45. Sunday school classes for Kindergarten is in the Ark room, 1st grade and up are located upstairs near the Main Sanctuary. The kids will be walked to the gym from Sunday school. If your child doesn't attend Sunday School, check them in and take them straight to the Gym for Kid's church by 10:45. Please pick your child up at the Gym when services are over and bring your security tag! The Preschool ministry for Newborn-PreK is in our Kid's Wing. Just check your baby in and enjoy some study time! Kindergarten and up have classes. Check them in and drop them off in the Gym. Info & contact form coming soon! ACC is for kids that have completed 3rd - 6th grade. Click the picture above for registration & payment. 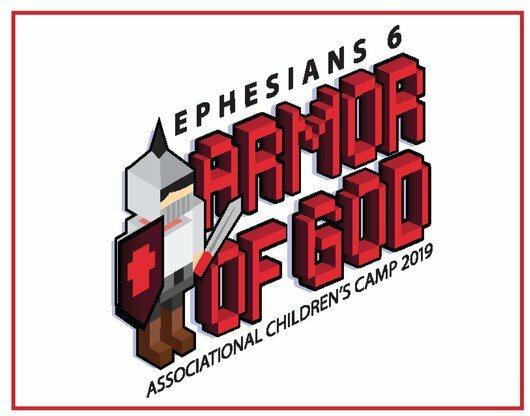 Ephesians 6:11-17 11Put on the full armor of God, so that you can take your stand against the devil's schemes. 12For our struggle is not against flesh and blood, but against the rulers, against the authorities, against the powers of this dark world and against the spiritual forces of evil in the heavenly realms. 13Therefore put on the full armor of God, so that when the day of evil comes, you may be able to stand your ground, and after you have done everything, to stand. 14Stand firm then, with the belt of truth buckled around your waist, with the breastplate of righteousness in place, 15and with your feet fitted with the readiness that comes from the gospel of peace. 16In addition to all this, take up the shield of faith, with which you can extinguish all the flaming arrows of the evil one. 17Take the helmet of salvation and the sword of the Spirit, which is the word of God. 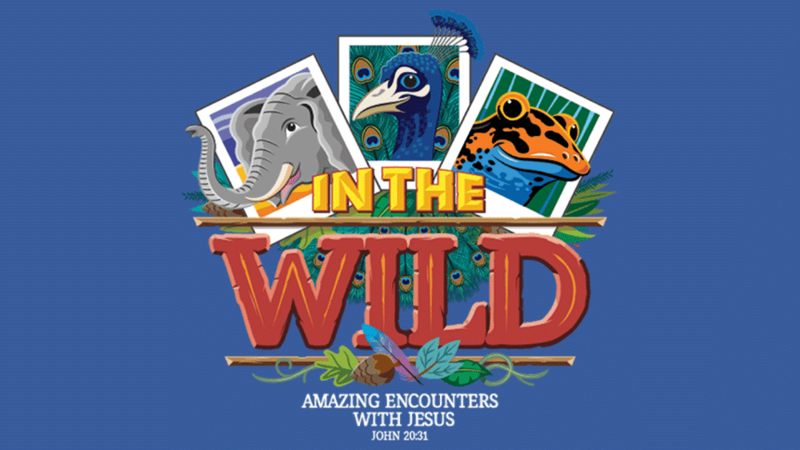 VBS is open for children who have completed Kindergarten - 6th grade. Click the picture above to register. Cost $100. Details to follow! Open to students who have completed Kindergarten-6th Grade. 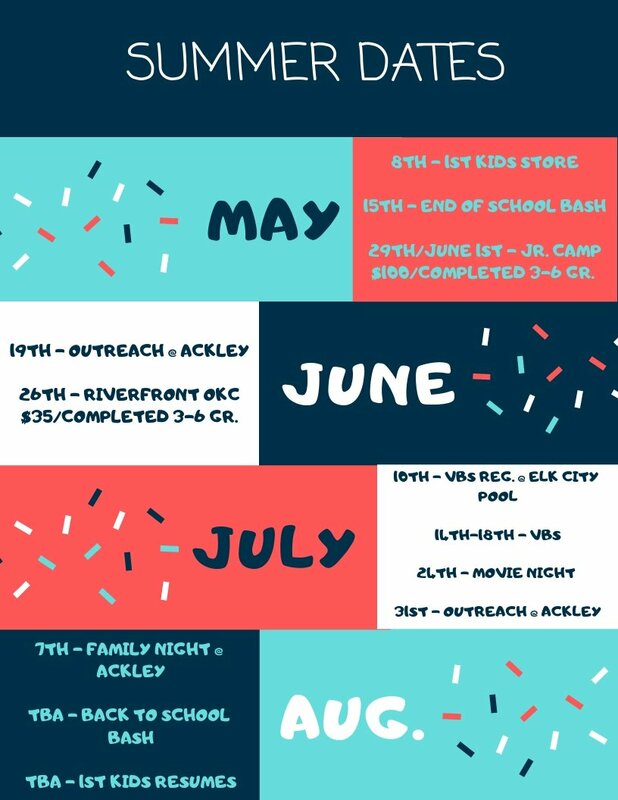 Games, inflatables, face painting, food and more! Fun for the whole family! We pride ourselves on keeping your kids secure! Check them in at one of our Kiosks upon arrival. A name tag will print for your child as well as a security tag for you with matching numbers. 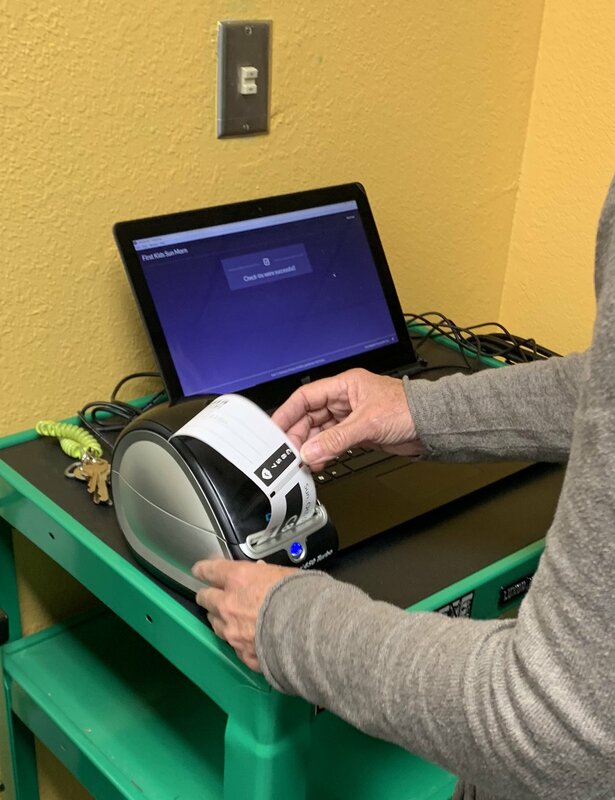 When you pick up your child, give our staff your security tag.